Last Wednesday, February 27th, a working meeting took place between LIFE Lugo + Biodynamic and LIFE CerSuds project managers from Benicàssim. The reason for this meeting was, on the one hand, to know the current progress of each of the projects as a result of the commitment to collaboration and establishment of synergies between the LIFE initiatives and, on the other, to specify the sending of ceramic material for the installation of filtering pavement. The aim of this meeting was to explain the main aspects of this European study, which seeks to develop and implement a sustainable urban drainage system based on the use of ceramic tiles of low commercial value that can be used in urban retroffting actions. 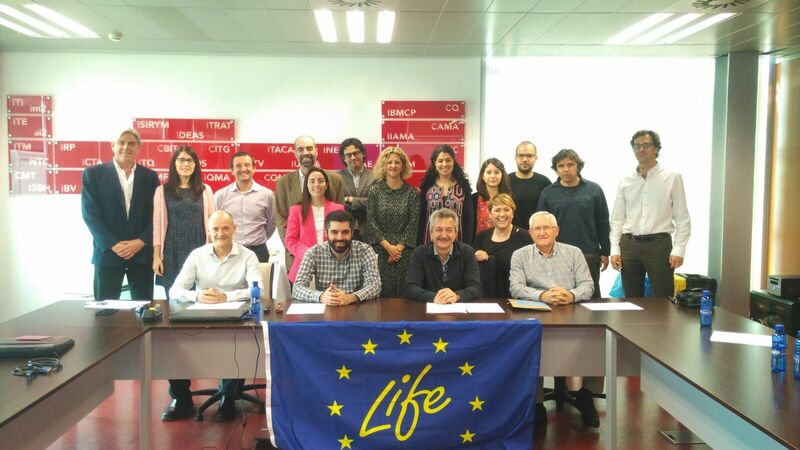 In fact, different project partners presented the main actions carried out within the framework of the LIFE CERSUDS project. 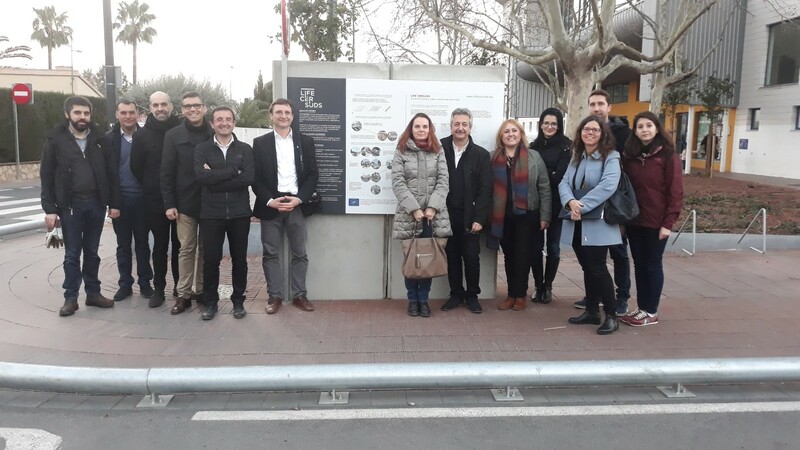 On 13 and 14 February, the representatives of the European Commission responsible for the supervision and monitoring of the LIFE CERSUDS project met in situ the demonstrator of the sustainable urban drainage system located in Benicàssim. 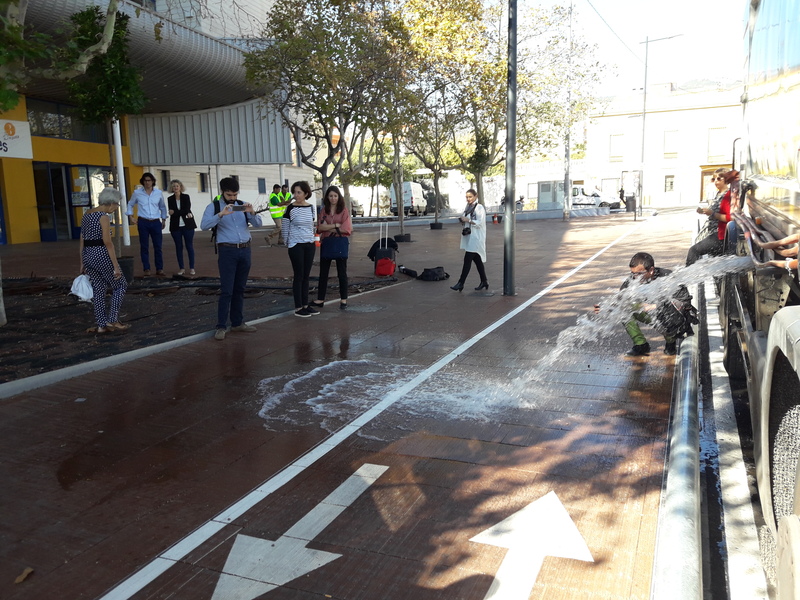 The event is part of the 25th edition of the Civil Engineering and Environment Week, organized by the School of Civil Engineering (ETSICCP) of the Polytechnic University of Valencia. This conference will address the experience of the LIFE CERSUDS project , whose demonstration work in the municipality of Benicàssim (Castellón) represents an innovative example of implementation of new solutions in urban drainage. Benicàssim City Council achieves a merit award for the use of ceramics in urban space through the LIFE CERSUDS project. The Mayoress of Benicàssim, Susana Marqués, as maximum representative of the Town Council of this municipality and thanks to the LIFE CERSUDS project, has received the first prize of the "Som Cerámica" awards, established by the Provincial Council of Castellón to promote the use of the ceramic product as a first quality material with enormous possibilities in its application. The European Commission Representation in Spain is pleased to invite you to the Innovation and Sustainability conference: Investment to mitigate the effects of climate change, an event held in conjunction with the City Council of Benicassim, Castellón and LIFE CERSUDS, developers of sustainable solutions. 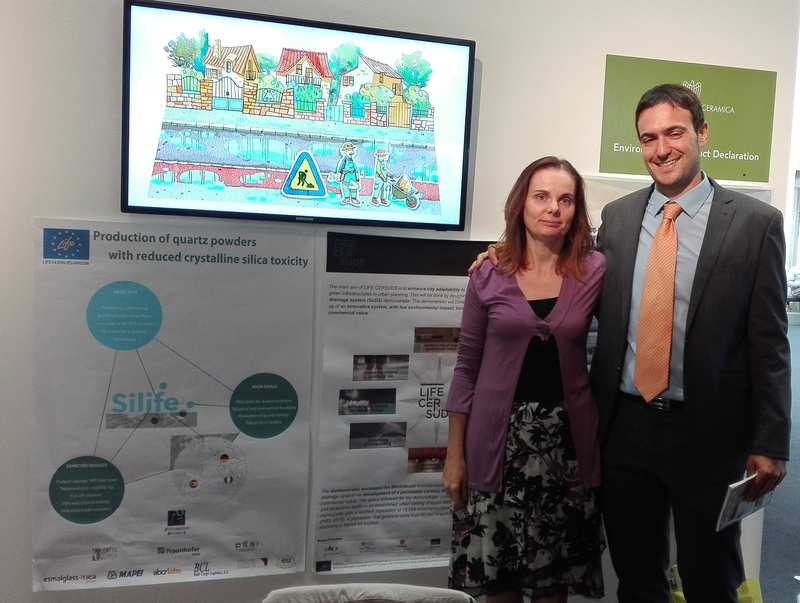 A communication carried out within the framework of the LIFE CERSUDS project wins the "JAUME BLASCO" Innovation Award during the XXII International Congress on Project Management and Engineering (CIDIP 2018). The paper entitled Design of sustainable drainage system considering irrigation strategies, was awarded by AEIPRO (Spanish Association of Project Management and Engineering) and presented in poster format during the XXII International Congress of Project Management and Engineering (CIDIP), held in Madrid from 11 to 13 July. About a hundred municipal technicians, architects and engineers from all over the province and other bordering provinces attended the "Conference on SUDS experiences in Spain" held in Benicassim as part of the Life-CERSUDS project. 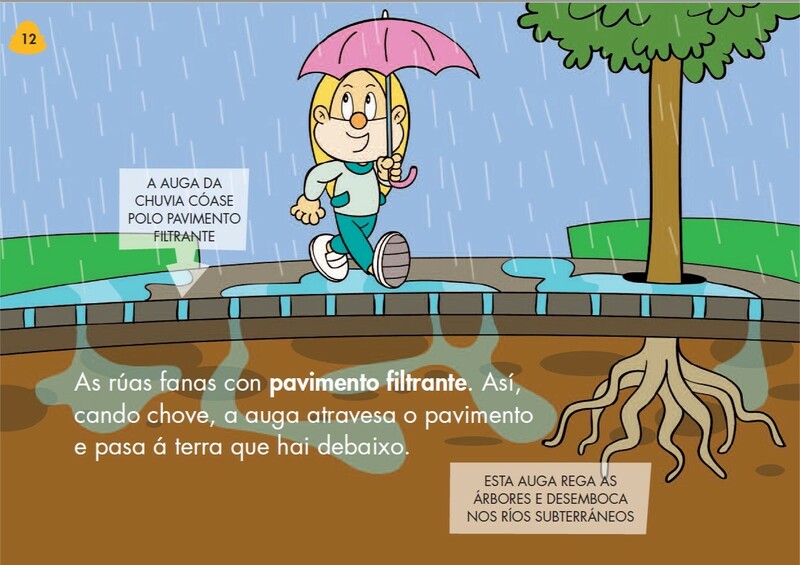 The municipality of Benicàssim (Castellón) will host some of the most prestigious experts in Sustainable Urban Drainage Systems (SUDS) in the framework of the LIFE CERSUDS project, an innovative project in the fight against climate change which, in a new way, uses low commercial value ceramic tiles in stock as an essential part of the urban drainage system. 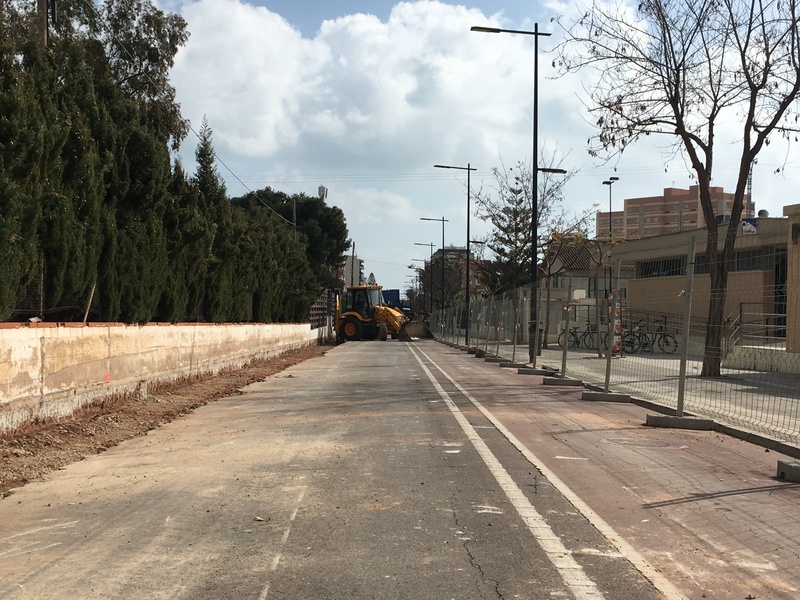 The innovative project of the Life CERSUDS project on Torre Sant Vicent street will be finished at the beginning of summer. 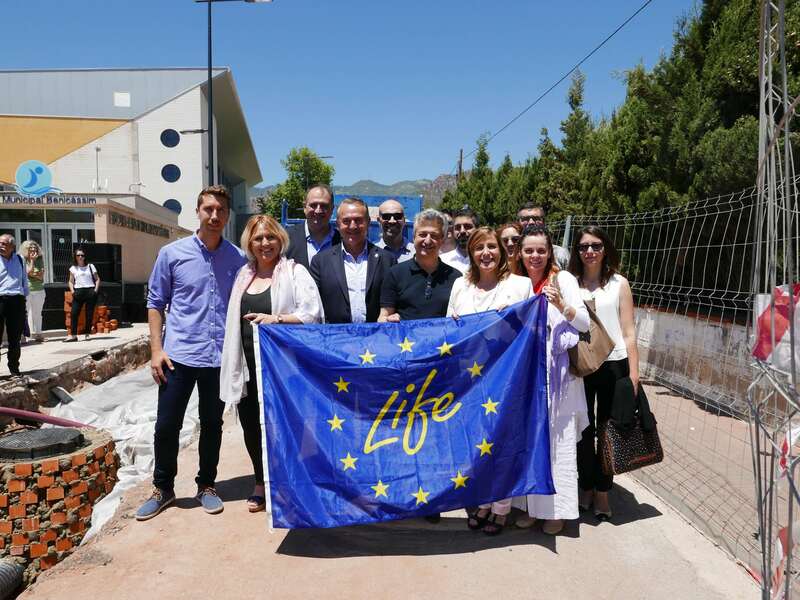 The Mayoress of Benicàssim, Susana Marqués and the President of the Castellón Provincial Council, Javier Moliner, have visited the works of the remodelling of Torre Sant Vicent street included in the European environmental innovation project, LIFE CERSUDS. 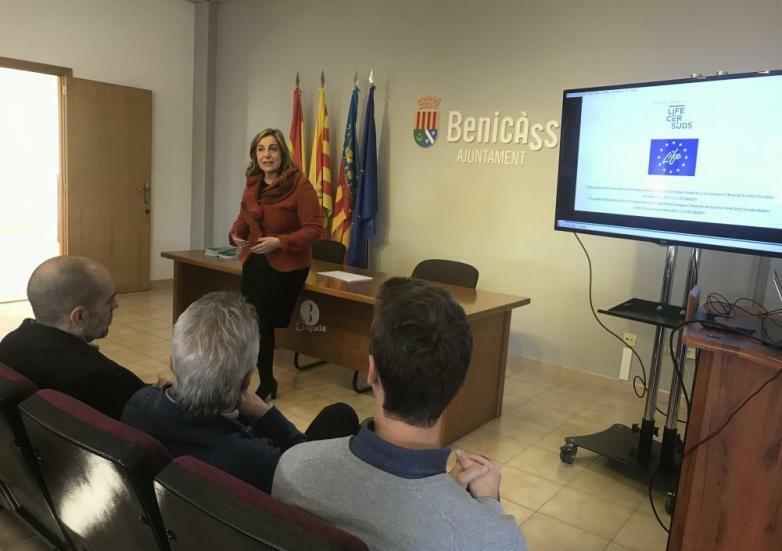 Experts and representatives of town halls, universities, research centres, companies and public bodies that are part of the regional working group of the LIFE CERSUDS Project meet in Benicassim to make progress on the Project and visit the works of the demonstrator. The work on the Sustainable Urban Drainage System, which uses ceramics of low commercial value within the European LIFE CERSUDS project, which is being coordinated by the Institute of Ceramic Technology (ITC) with the participation of IIAMA-UPV, CCB, CTCV, CHM, Benicàssim City Council and Trencadís de Sempre, S. A., has already begun in Torre Sant Vicent street from Benicàssim (Castellón-Spain) LIFE CERSUDS aims to improve the ability of cities to adapt to climate change and promote the use of green infrastructures in urban development. LIFE CERSUDS disseminates its objectives and progress at the World Congress on Tile Quality, attended by more than 600 participants from several countries. LIFE CERSUDS presented an oral presentation and posters at the Qualicer Congress, a scientific forum held every two years and attended by more than 600 scientists and ceramics industry professionals, aimed at boosting ceramic quality. LIFE CERSUDS has been present at the International Technological Forum "Cerámica Innova 2018", which has consolidated itself reaching its 6th edition in 2018 and is held every two years, coinciding with Cevisama and the Exhibition of Machinery and Equipment for the ceramic industry. LIFE CERSUDS has disseminated its characteristics and objectives at the Cevisama 2018 fair, which this year has registered more than 90,000 visitors from ceramic sector professionals from all over the world. The members of the Regional Working Group of the LIFE CERSUDS project met at ITC, as project coordinator, on Friday, 10 November 2017, to learn about the progress of the project and discuss, among other things, its replicability. Castellón, October 25th, 2017. The Instituto de Tecnología Cerámica (ITC) as coordinator of the LIFE CERSUDS Ceramic Sustainable Urban Drainage System project, today brought together all the participants in this initiative whose objective is, according to Javier Mira, head of ITC's Habitat Area and principal investigator of the project:"to develop an urban sustainable drainage system (SUDS) that uses ceramic material of low commercial value as a paving filtering system. What we want with this system is to improve the ability of cities to adapt to climate change and promote the use of green infrastructures in urban development plans of municipalities.” And he adds: "That is why we have designed and are going to implement, in 2018, this SuDS on Torre San Vicent street, opposite the sports centre in the town of Benicàssim (Castellón), which has an important tourist activity. Precisely, we are now installing in an area close to the demonstrator the first street test of the system, which consists of a permeable surface made of ceramic pieces of low commercial value that, practically in a handmade way, have been cut and piled up forming this innovative system that will help to collect the excess water coming from torrential waters, and that later can be reused for the irrigation of landscaped areas ". 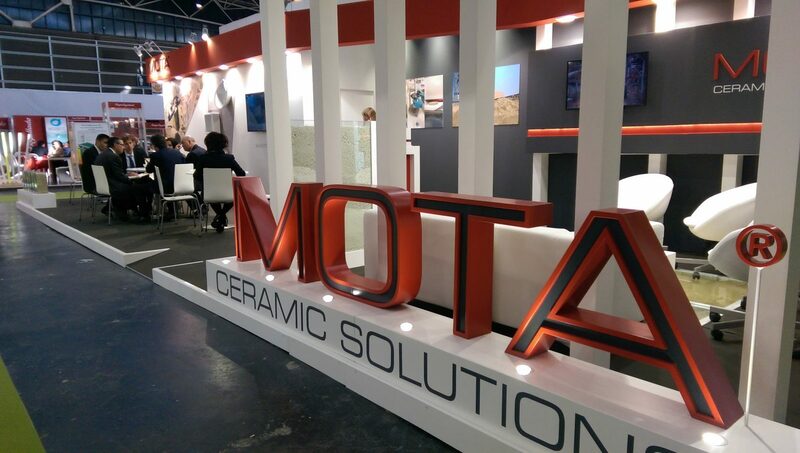 LIFE CERSUDS has been presented at the summit on ceramics organised by the Portuguese firm Mota, the Mota Summit: Ceramics: Let´s talk. Experts from ITC travelled to Portugal to talk about "Ceramic Tiles: Sustainability and Innovation", where the LIFE CERSUDS ceramic system, which uses ceramics in a way consistent with the circular economy by reusing material of low commercial value to build a sustainable urban drainage system capable of mitigating the negative effects of flooding, was used as an example. LIFE CERSUDS has attended Cersaie 2017 in Bologna (Italy), being the ceramic event that brings together all the world's attention from 25 to 29 September 2017. In terms of visitors, in 2016 there were 106,000 visitors from practically all over the world, and there were more than 111.000 in the edition of 2017. LIFE CERSUDS was present at the stand of the Bologna Ceramic Center (CCB), a member of the project, and was disseminated among visitors. The Castellón Provincial Council will reaffirm on the 22nd its commitment to Castellón tile "for its crucial weight in the economic and labour market fabric of Castellón" by organising the' First Conference on the Promotion of Ceramics in Urban Spaces' aimed at discovering architects, technical architects and engineers "the countless possibilities that ceramic material offers them when designing and executing public spaces". This was explained by the deputy for Economic Promotion, Salvador Aguilella in a press conference on 10 September. The aim of this conference is to make architects, technical architects and engineers aware of the possibilities that ceramic material offers them when designing and executing public spaces. More than 20 representatives of city councils, universities, research centers, companies and public bodies have gathered at the Universitat Politècnica of Valencia (UPV) in the frame of the LIFE CERSUDS project, to promote a model change in Sustainable Urban Drainage solutions. The Instituto de Tecnología Cerámica (ITC), main coordinator of the LIFE CERSUDS project, received a visit on 29 March of a delegation from the Ministry of the Environment of Lithuania interested in knowing the project in order to consider the possibilities of the implementation of this project it in their municipalities. 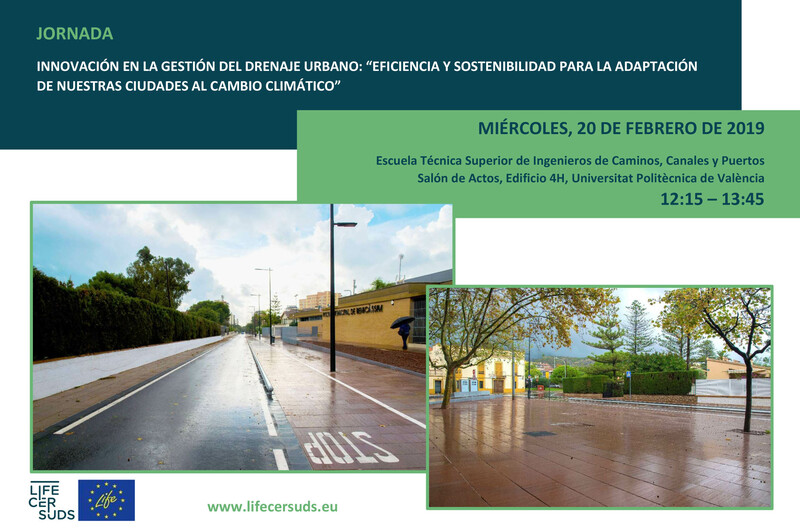 Castellón, March 8th 2017.- The Instituto de Tecnología Cerámica (ITC), as coordinator of the European project LIFE CERSUDS Ceramic Sustainable Urban Drainage System disseminated during its international event Cevisama 2017 its characteristics and objectives, oriented, among other things, to favor the fight against the negative effects of climate change through the implantation of a sustainable urban drainage system whose demonstrator will be built on Sant Vicent Street in the municipality of Benicàssim (Castellón-Spain) Cevisama is one of the most important sectoral trade fairs on a worldwide scale (the other is Cersaie and is held in Bologna, Italy) in the field of ceramics industry and in this edition, according to the data of the organization, brought together 80,000 people ( In the last edition were 78,000). The ITC stand is located at the main entrance to the event, in front of the Ceramic Trans /Hitos Exhibition for Architecture and Interior Design, also executed by ITC and promoted by CEVISAMA with the support of ASCER, the Spanish Association of Manufacturers of Ceramic Tiles and Pavements, a place of obligatory passage for all those thousands of visitors who during the week of February 20 to 24, 2017 walked through the enclosure. The Instituto de Tecnología Cerámica (ITC) as main coordinator of the european Project: LIFECERSUDS Ceramic Sustainable Urban Drainage System has launched on April 2017 the website of the project: www.lifecersuds.eu The characteristics of the project, its goals and objectives can be known in the languages Spanish, English, Italian and Portuguese, languages of the countries participating in LIFE CERSUDS, as well as being able to keep track of the different events, meetings, presentations, etc.,which are already taking place since the beginning of this process, one of whose goals is to support the fight against the effects of climate change through the development of a sustainable urban drainage system that uses the ceramic material that may have been left in stock by Its low commercial value providing a new use, in this case the drainage of the water coming from the rain that at some times of the year in this geographical area become torrential. 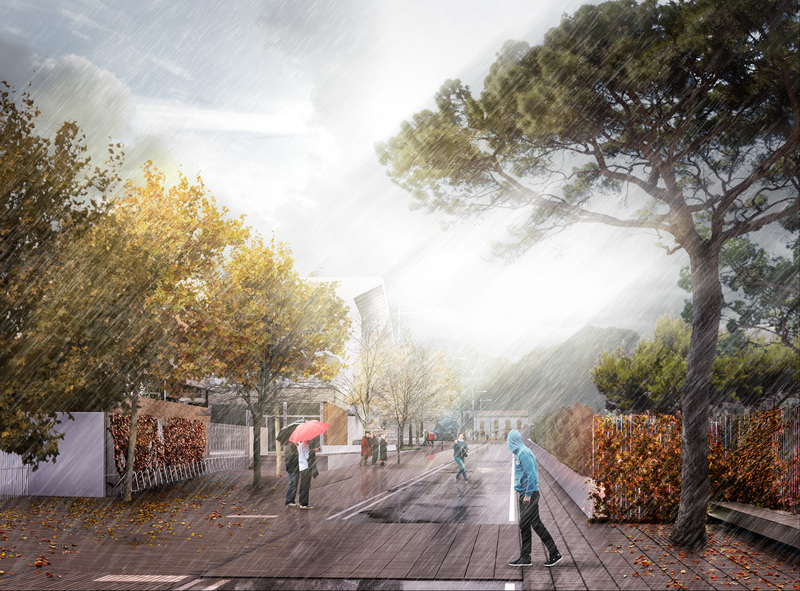 In this way, LIFE CERSUDS is presented from its website as an example of innovation focused on the use of a ceramic material that aims to improve the adaptability of cities to climate change and promote the use of green infrastructure in their urban plans. From the website itself, which transmits an elegant and faithful brand image to the concept and purpose of LIFE CERSUDS and which was created by the design studio Joan Rojeski, it is possible to subscribe to the newsletters generated by the project: http://www.lifecersuds.eu/en/documentos and thus maintain Informed of the progress and results of this project, which is funded by the European Union's LIFE Program 2014-2020 Program for Environment and The Climate (with reference: LIFE 15 CCA / ES000091). LIFE CERSUDS is coordinated by ITC and project partners include Universitat Politècnica de València (UPV); the Town Council of Benicàssim, the municipality that will house the demonstrator; Centro Ceramico de Bologna (CCB-Italy); CHM Obras e Infraestructuras, S.A.; Centro Tecnológico da Cerâmica e do Vidro (CTCV-Portugal); and the company Trencadís de Sempre, S.L.